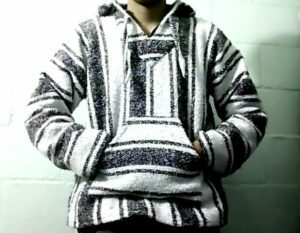 Most of us have seen popular fashion choices for festival wear. Guys wear tank tops and bandanas while girls sport jean shorts and flower crowns. These are perfect options for a warm, sunny afternoon in April. But for those who have attended or plan on attending South Lake Tahoe's SnowGlobe Music Festival this winter, cute and warm may not always mean the same thing. This year's festival weather includes high percentages of humidity, snow and rain showers, and temperatures with lows bellow 20 degrees. Don't fret. 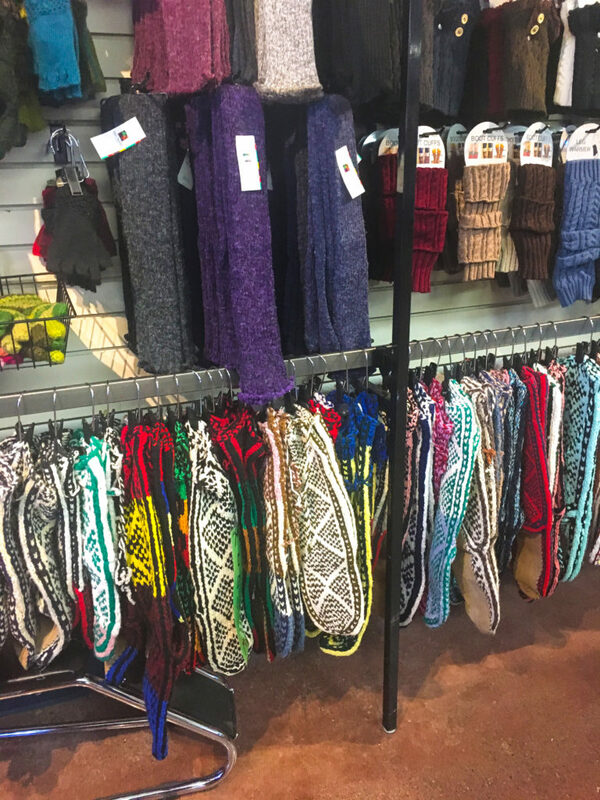 There are plenty of ways to dress up and accessorize without sacrificing your toes to frostbite. 1. Feet First In between all of the weird dancing you'll be doing and waiting in line for the bathroom and food trucks you'll be on your feet all night. Don't chance it with a pair of Vans or your roommate's old snow boots that leak. It's worth every penny to buy yourself a nice pair of snow boots. Yes, they are pricy, but it's going to be worth it when you don't have to leave your friends to go warm your feet up in the car. 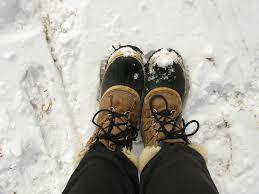 Festival grounds are going to be covered in ice and snow, so waterproof shoes are a must have. 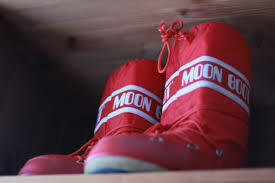 I'd recommend Sorel or Moon Boots if you're looking for particular brands. Plus, they're available on popular sites like Amazon or Zappos at a discounted price. It's also smart to buy a pair of long socks normally used for skiing to add an additional layer of warmth. 2.Leg Up A great way to add some color to your outfit while also staying warm is to layer up with colorful leggings. 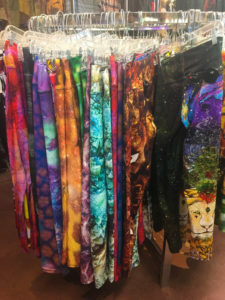 Melting Pot World Emporium has a great selection of leggings. It's best to wear 2-3 layers with your favorite color on top, of course. Popular prints and designs this year are vibrant colors with galaxy prints. It's probably best not to go with jeans because they're going to be hard to get on and off for layering where as leggings are comfy and easy to pack. 3.Don't Be Shady, Or Do For those of you who've been up to Tahoe skiing or snowboarding, you know that the snow harshly reflects sunshine onto your face and eyes. During the day a pair of fun sunglasses is a great way to add a customizable look to your outfit. 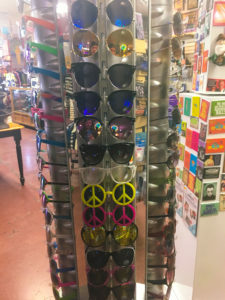 Popular costume stores in Reno such as Junkee offer a great selection of reflective sunglasses or even cool, clear lenses. Melting Pot also has fun glasses if you want to rock the peace sign, too. 4.Get Cozy SnowGlobe is the perfect opportunity to dress as crazy as you want to. 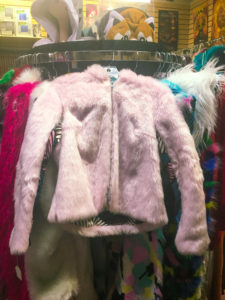 It's a smart idea to bring your warmest coat, but you can always throw random fuzzy vests or faux fur jackets over it to add to the festival look. 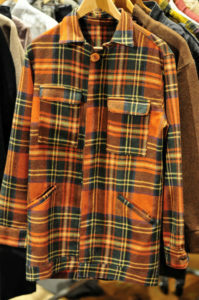 If you're not into the fur look other ideas include flannel shirts or a Mexican poncho. Bright scarves are also a fun way to add some fun. Pro Tip: Bring hand warmers as well. Swing by Walmart or another convenience store on your way to Tahoe. They're small, light, and easy to use. Every bit of warmth is going to make a difference. 5.Pack It Up You're going to be hauling water bottles, cash, car keys, your wallet, snacks, and extra pairs of socks in your backpack at a minimum. Melting Pot has hilarious backpacks and fanny packs that make for great photos. 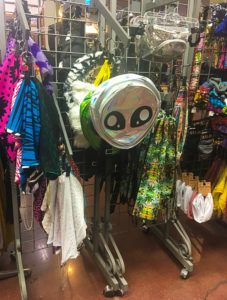 Depending on your style you could go for a flashy silver fanny pack or an alien backpack. 6.Hats Off To You The last thing you want to forget is a warm hat. 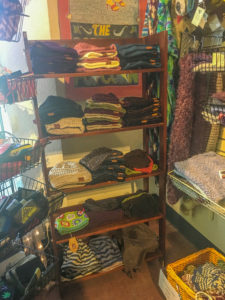 Beanies come in practically every color. You could go simple and wear a regular hat, or if you're feeling fancy wear something with a giant pom pom. Many costume specialty stores in Reno have those fuzzy wolf hats too if you really want to get into the spirit.